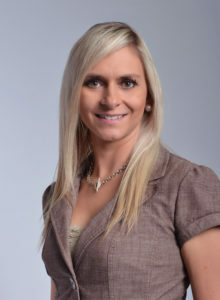 Gosia Bikker joined MC’s Colorado Springs office in 2012. Presently she oversees MC’s entire southern Colorado management portfolio consisting of retail, office and industrial properties. Gosia discovered a passion for commercial property management and brokerage in Washington state where she managed, leased, and sold properties for 9 years and was the President of a property management company for 6 years. While working there, Gosia graduated with a Bachelor of Arts degree in Economics from Western Washington University in Bellingham, WA. In her free time, Gosia enjoys hiking in the summer and skiing in the winter with her two sons, Brock and Preston. Grateful for an amazing group of clients and tenants, Ms. Bikker fulfills her days with enthusiasm for her work.